In this contemporary YA novel, a girl reunites with the three other survivors of a bus bombing that killed nineteen people, and together they face the secrets, struggles, and emotional warfare that each has been enduring. Golden “Go” Jennings wasn’t supposed to be on Bus 21 the day it blew up in New York City. Neither was her boyfriend, Chandler. But they were. And so was Rudy, a cute stranger whom Go shared a connection with the night before. And Caroline, a girl whose silence ended up costing nineteen people their lives. Though it’s been a year since the bombing, Go isn’t any closer to getting over what happened. Since Chan shuts down every time Go brings that day up, she decides to reach out to Rudy. Just like that, the two fall right back into their easy, deep connection. Facing the past head-on with Rudy has opened up a small window of healing Go never thought was possible. So she makes an impulsive decision: Round up the rest of the survivors and head to New York City. There they will board an art installation made of the charred remnants of Bus 21. I was super curious to read Four Three Two One by Courtney C. Stevens, not only because the story sounded really interesting, but also because I have wanted to read something by Courtney for the longest, and this sounded like a great place to start! This book was definitely an interest read. I want to start this by saying that the storyline for this book was definitely intriguing. It’s about a group of kids that survived a bus bombing that killed 19 people. Not only do we get the story about the tragic, horrific event, but we also get the story that happened before, and after as well. Reading this story as it alternated back and forth around the bombing were hard to read at times, but were also inspiring in how these kids learned to cope afterward. The characters in this book were all so interesting. They have all been through so much, and seeing how each one coped with what happened was both heartbreaking and inspiring. I don’t think I could have handled it anywhere close to how these kids did. But I loved watching the relationships between them grow as they meet again after the bombing, and how they learned to cope together with what happened. 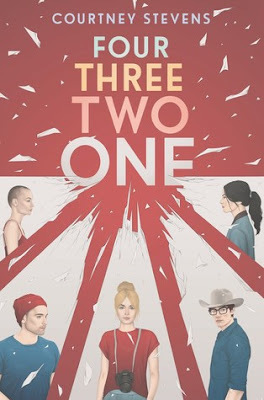 Overall; Four Three Two One is the very first book that I have read so far by Courtney C. Stevens, but it definitely will not be my last! I am super curious now to dive into some of her other books, and I do believe The Lies About The Truth will be the next book I read by her, hopefully soon! 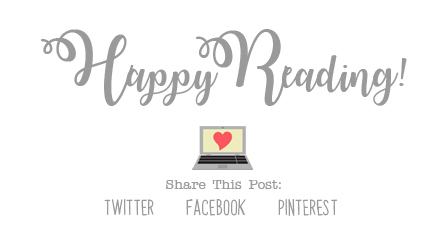 My January 2019 Wrap Up & Book Haul!